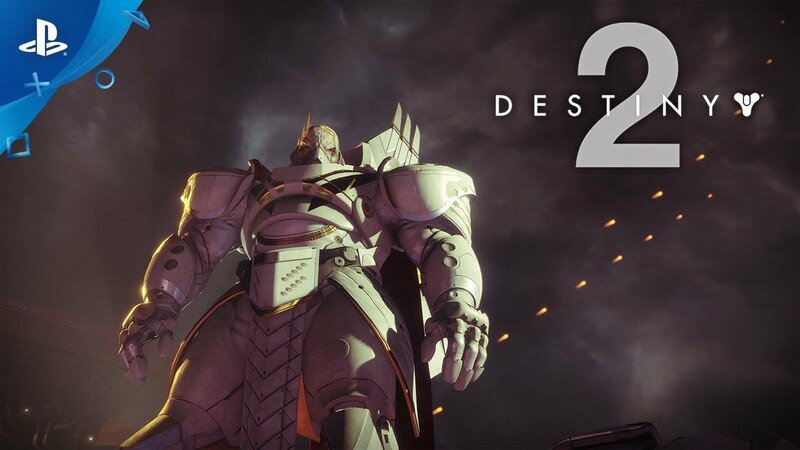 Watch the new trailer for Destiny 2 and see some of the sweet, sweet loot PlayStation players will be able to pick up come September 6. Greetings, PlayStation Nation! This is DeeJ, reporting from E3 where we just introduced you to the enemy you’ll face in Destiny 2. This all-new adventure kicks off with a surprise attack on the City. You’re about to face the most dreaded foe we’ve ever sent against the Guardians. To mount a counter-attack and take back our home, you’ll need to venture back into the wild to master new forms of combat, collect some new loot, and reunite our forces. We know you’re up to the challenge. Your chance to experience the action for yourself will be in the Destiny 2 Beta. You can be among the first to play on July 18 if you pre-order. We’re looking for every Guardian, new or returning, to join this adventure. If you’re a veteran of the Tower, or have studied our community from afar, this is a great time to join us as a protector of humanity. This new journey across the solar system and back begins on September 6. Why was the release date moved up by 2 days to September 6th? I only game on Playstation, but exclusive content for any game on any platform is super ultra mega lame. they get what they did two generations in a row , so i don’t feel for them. these are very minor things anyway. The players didn’t do anything two generations in a row, the platform-holders did. Players on all platforms get the short-end of these policies that serve nothing but the financial interests of giant corporations. Pff the only thing lame here is your comment. Exclusives should never be celebrated by gamers. Exclusives are for the platform owner only. Cutting content away from other gamers does not improve my gaming experience in any way. To the people saying the exclusive content is “lame”. The exclusive content is a business decision and it is more than fair considering the competition did far worse. Anyone remember the deals to hold back Mass Effect 1 and TitanFall from ever being played on Playstation consoles? It’s very simple. Microsoft started it and Sony is finishing it. I don’t like the practice but it’s business and the best place to play with or without exclsuive content is THE PS4. This reeks of false righteousness. Anyone who bought a playstation knew what they were doing, this is the platform to get for exclusives, exclusive games, exclusive content, exclusive services. period. You can’t buy in and then act like you’re too good for what you bought. What’s done is done. What I would really like to see is cross-platform play. One of my closest gaming buddies is only on X-Box and I’m only PlayStation, it would be fun having a game we could play together. do you lack reading comprehension? point where i said players… just don’t fall from your soap box. Can’t wait for D2! As a PS4 only gamer I’m loving the PS4 exclusives! Keep’em coming! My Destiny 2 is already pre ordered :) I like destiny lore. Lore shelved? Can you elaborate (or direct me to a news story)? Will more balance changes take place on the original Destiny after Destiny 2’s launch? I really hope that a greater focus is given to PVE by then, since I’m not really interested in the Crucible. You serious?…after Destiny 2’s launch expect them to forget the 1st Destiny ever existed lol. Already pre-order the Limited Edition. Hoping for more Mara Sov, new elements like Cyro or Radioactive, and more planets/enemy races than shown. Can you guys reduce the limited exclusivity to like 3 months, 1 year is messed up. This is not a good business practice and messed up to your fan on other platforms, especially the exotic being exclusive. We won’t be seeing Mara Sov in the sequel. Been confirmed by Luke Smith already. So………..don’t care about the exclusivity in the sense of accessibility, but this would mean that a player on any other console would have a less complete Grimoire…People who want to 100% everything in a game as expansive as this would be unable to do so with the fact that these are PS4 exclusive. Please update the PlayStation Vue app on Roku!!! For what my feedback is worth, I also vote Destiny exclusivity be limited to three months. Maybe work out a deal so more of the content is exclusive to us, but for a shorter time. 09061955 is the day I came forth from my mother’s womb.